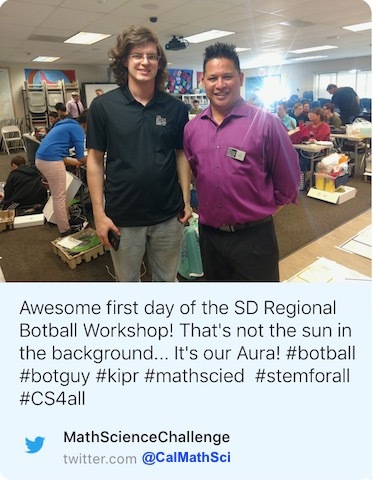 How do CA Math & Science K-8 CHALLENGE EVENTS differ from traditional robotics Tournaments? 1. Students do not compete against other teams. 2. They work, individually or with other classmates, to earn Badges, by solving the Project-Challenges. 4. Attendance is open through-out the Saturday morning so that students can attend the CA Math & Science CHALLENGE without giving up their weekend games or other events (they often show up in uniform). 5. 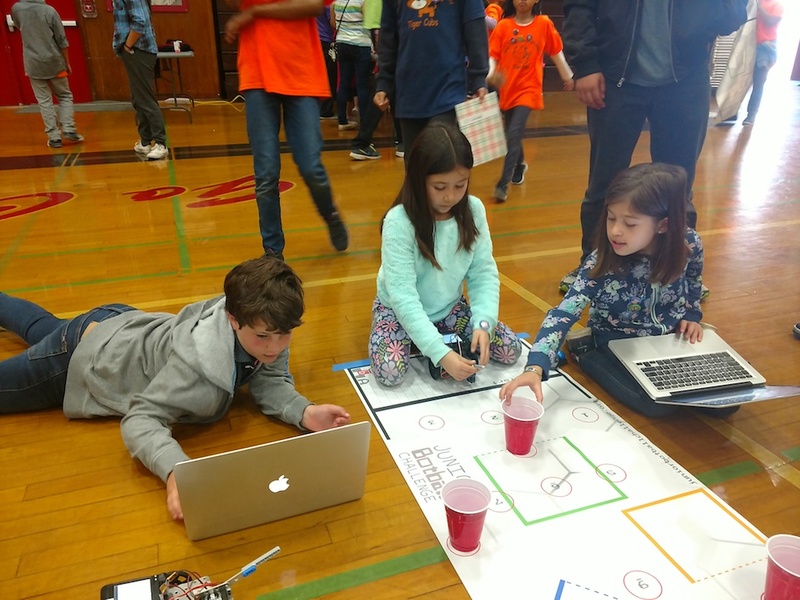 The Project-Challenges are often challenges they have worked on in school or after-school robotics club but now EVERY CHILD gets to demonstrate mastery (which doesn’t always happen in the clubs or in-school robotics class), and earn their own button-badges!